Explore Margaret River and Geographe Bay on a full-day tour from Perth. Visit renowned surfing beaches around Margaret River and take a walk on the 1.25-mile (2-km) long Busselton Jetty at Geographe Bay. 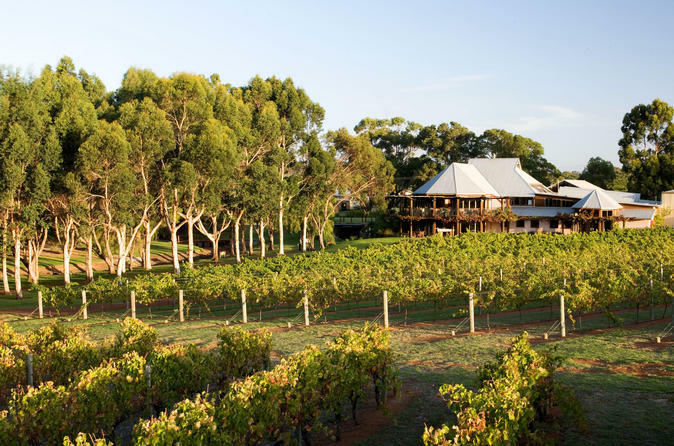 Stop at wineries and delicious eateries in the Margaret River wine region, then go sightseeing at Cape Naturalist Lighthouse and take a tour of Ngilgi Cave (Yallingup Cave). Travel by air-conditioned mini-coach with morning tea, lunch, and hotel pickup and drop-off in Perth or Fremantle included.